After recently investing in electric buses for its South Metro Area Regional Transit system, the City of Wilsonville furthered its push to make transportation options fueled by electricity more accessible in the community. Wilsonville City Council unanimously passed a resolution to allow Portland General Electric (PGE) to build six electric vehicle charging stations at the Wilsonville Public Library during a meeting Thursday, Jan. 24. The agreement lasts 10 years, either party can terminate it and PGE would construct, operate, inspect, repair and maintain the stations out of its own pocket while the City would be responsible for maintaining the parking area. The Wilsonville Library Advisory Board first recommended the approval of the resolution at a meeting Jan. 23. PGE is already planning to have two stations in Portland, one in Milwaukie, one in Hillsboro and two more in the Portland metro area up and running by 2020. In 2017, Gov. Kate Brown issued an executive order establishing the goal of 50,000 electric vehicles occupying Oregon roads by 2020, up from 16,000 at the time of the order. 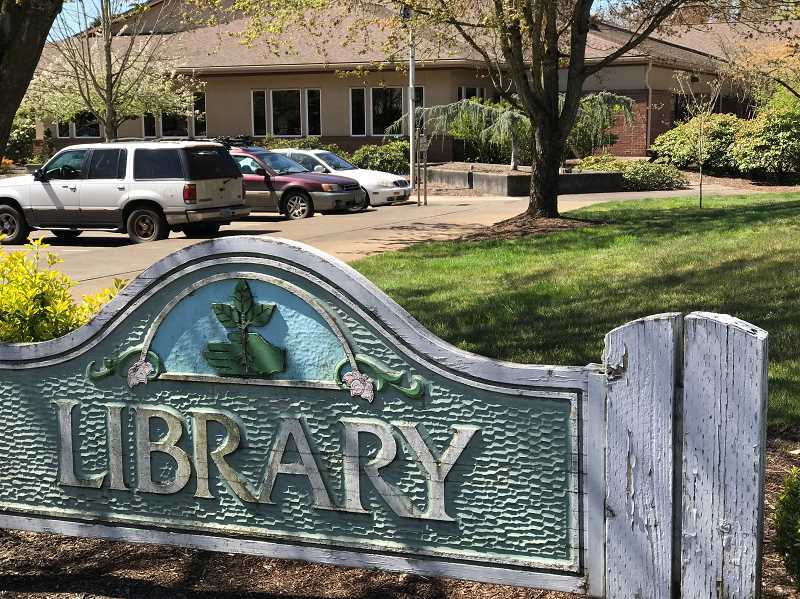 PGE Emerging Technology Product Manager Joe Colett said the Wilsonville Library is appealing to the company because it's visible from the road and is close to Interstate 5 and, more immediately, Memorial Park. PGE also considered Wilsonville City Hall and Town Center Park for sites but the City and PGE decided the Library would be the best of the three options. "We've been looking throughout our service area from Portland to Salem evaluating sites. The things we like about Wilsonville are access to amenities," Colett said. "It's unique that we get to co-locate to something like a library, like the city park. And it has fantastic visibility from the road." Charging electric vehicles can take between 30 minutes and an hour at the high powered stations and many hours at the low powered stations. The high powered stations would cost users $5 per use and the low powered stations would cost $3 per use while unlimited use would cost $25 a month. And considering the lengthy wait, Wilsonville Mayor Tim Knapp said the library would be an ideal location. "The fact they can go to the library, go across the street and go shopping, get food, go across to Memorial Park argues that this is a superior location," he said. According to Wilsonville Public Library Director Pat Duke, the library currently has about 120 parking spots. The facilities would take up nine of those spots in the northeast corner of the parking lot and include one spot that would follow the guidelines of the Americans with Disabilities Act. At PGE's pilot charging station in downtown Portland, an average of 40 charging sessions occur per day and an average session lasts about 43 minutes. In case someone is using a spot for an unreasonable amount of time, Wilsonville Public Works Director Delora Kerber said the City could institute an idling fine. "We are hoping for people to comply but if they don't we will find ways to help motivate," she said. "We've found people are really good about self-managing that," PGE Project Manager Ariana Lohf said. Though he voted to approve the resolution, Knapp was concerned about PGE's disclaimer that the utility company would not assume liability in case of an accident at the charging station. Meanwhile, City Attorney Barbara Jacobson said she had discussed that stipulation with PGE's legal counsel and they told her PGE would not remove the disclaimer. "PGE is saying we're just not responsible for anything. Why is that? If someone gets hurt from high voltages there's going to be legal actions of some kind," Knapp said. However, Jacobson surmised that the disclaimer wouldn't prevent PGE from being sued in case of an accident and that the manufacturer of the equipment could also be liable. "Everyone is trying to limit their risk to the greatest extent possible but the reality is we are all in it together," Wilsonville City Manager Bryan Cosgrove said. "From our experience in the industry we have seen the equipment change over the last 3-5 years," Colett said. "We know vehicle technology is changing. Our intent is this technology could be upgraded and remain useful within that 10 year period."